Powerful visualization and real-time actionable insights on behavioral anomalies. The Analyst Station web portal is a front-end component, add-on module of the BioCatch solution that provides a running view of all sessions and their risk scores, and provides a powerful, visual picture of session activity, including all types of remote access takeovers and Trojans, malware and other behavioral anomalies which are indicative of fraud. 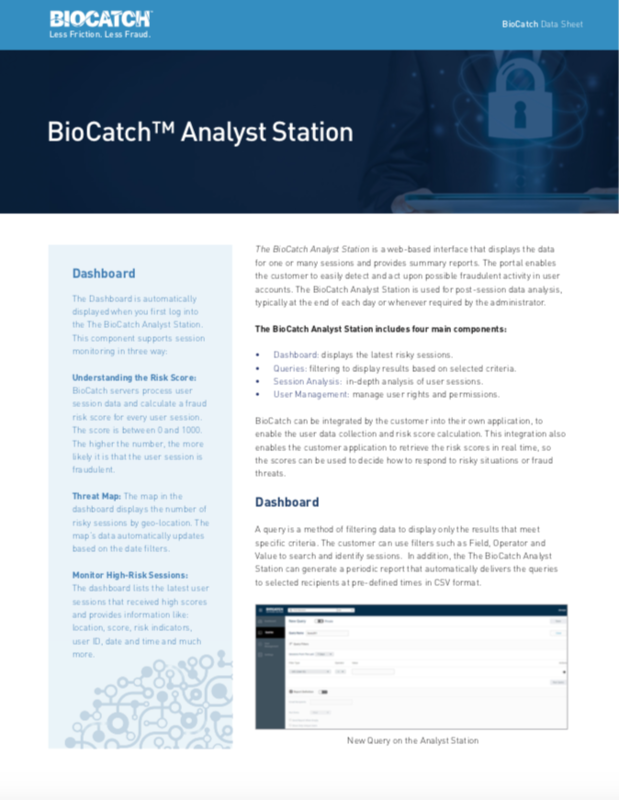 Empowered with real-time reporting and alert notifications, the BioCatch Analyst Station allows case managers to better detect, protect against, and act in the face of cyberthreats. Dashboard: Displays the latest risky sessions. This component supports session monitoring in three ways: (a) understanding the risk score; (b) threat map; (c) monitor high-risk sessions. Queries: Filters results based on selected criteria. The customer can use filters such as Field, Operator and Value to search and identify sessions. Session Analysis: Provides in-depth analysis of user sessions. This component can provide detailed information about sessions such as: geo-locations, mobile gestures, user behavioral analysis, device statistics and more. User Management: Manages user rights and permissions. The administrator can grant user permissions and determine the tasks the users can perform in the application. 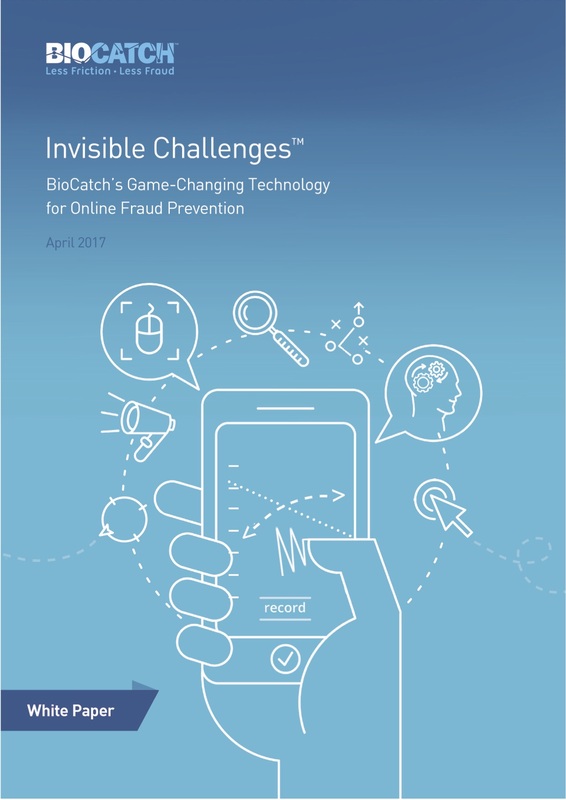 BioCatch can be integrated by the customer into their own application, to enable the user data collection and risk score calculation. This integration also enables the customer application to retrieve the risk scores in real time, so the scores can be used to decide how to respond to risky situations or fraud threats. Provides the customer with a macro view of all sessions in real-time, enabling immediate preventive action when suspicious events occur. With a dashboard comprised of advanced features, the Analyst Station provides a visualization of the suspicious activity so an operator can view the user’s normal behavior and the anomaly that generated a high-risk score. All type of anomalies can be viewed in the Analyst Station. The Analyst Station integrates easily with all other product modules and add-ons, creating a robust solution with complimentary components.